Zumba Toning is perfect for those who want to party, but put extra emphasis on toning and sculpting to define those muscles! Adding resistance by using Zumba® Toning Sticks (or light weights), helps you focus on specific muscle groups, so you (and your muscles) stay engaged! Enhances sense of rhythm and coordination, while toning target zones, including arms, core and lower body. 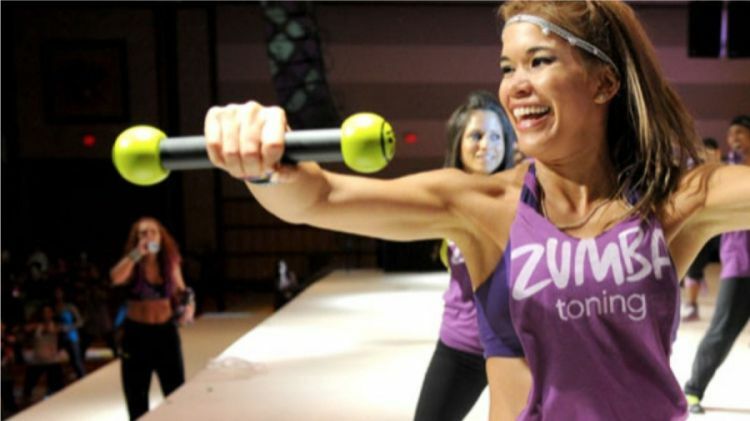 Zumba Step is perfect for those who are looking to feel the burn, baby! Looking to strengthen and tone your legs and glutes? Step right up. We combine the awesome toning and strengthening power of Step aerobics, with the fun fitness-party that only Zumba® brings to the dance-floor.